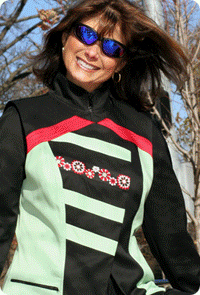 Once upon a time, there were no scooter jackets in the land. 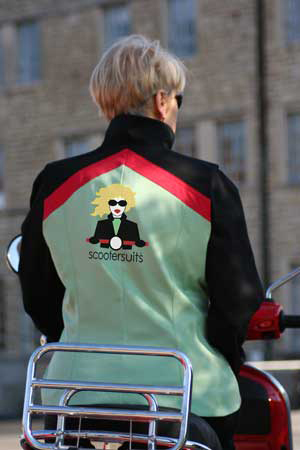 Especially no girlie scooter jackets. The best you could hope for was finding a vintage jacket. Or you’d buy a postal workers or mechanics jacket and decorate that. But now Corazzo.net has fuschia pink scooter jackets. 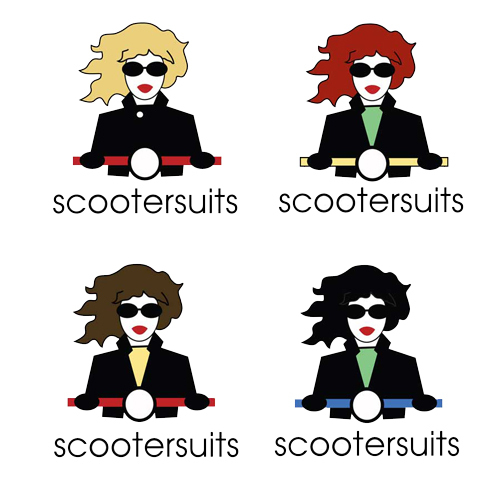 And a woman scooterist has started ScooterSuits. The fabric is wrinkle resistant, stretchable, 100% breathable micro fiber with a water-resistant finish. And includes French Ribbon too. Oooh la la! Visit their site for their whole line including accessories. I was excited when I first saw these but then I thought “what’s the point?” They’re not anything more than a cute jacket with a scooter related logo on them. they’re not armored or even made of a abrasian resistant fabric.